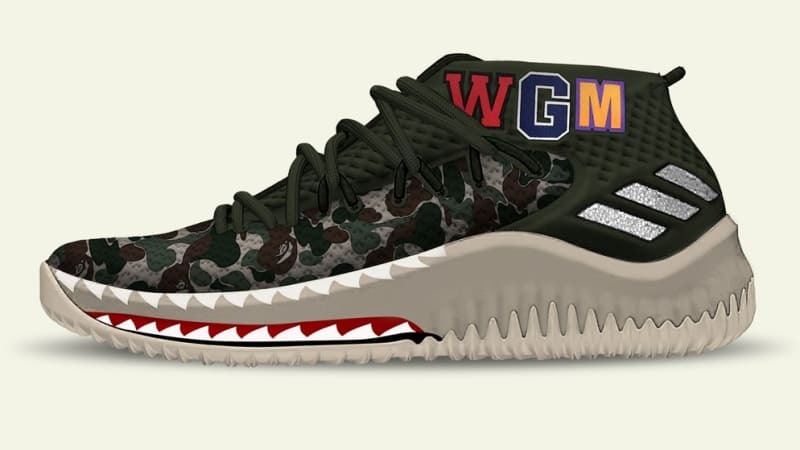 Dame is already getting ready for All-Star Weekend with this Bape collaboration. The Portland Trailblazers has a somewhat good record so it is likely that we will be chosen (hopefully) to represent the west. The design of the shoe clicks well with the look of the silhouette, with the midsole having a shark teeth design. The upper will have a camouflage design and will come in to color (black and green). 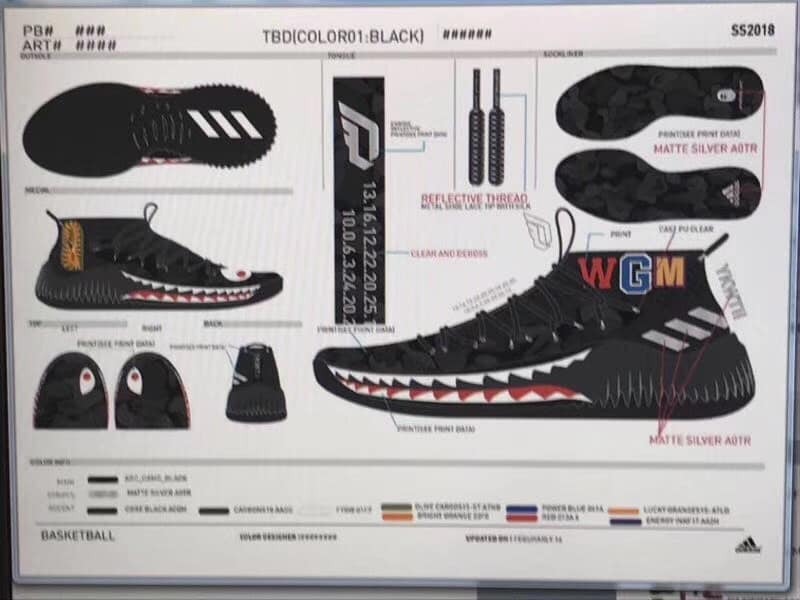 I have no doubt that this will look good and Dame will pull this off effortlessly. The shoe has a slim profile to begin with so a streetwear brand like Bape matches with Dame's personality. 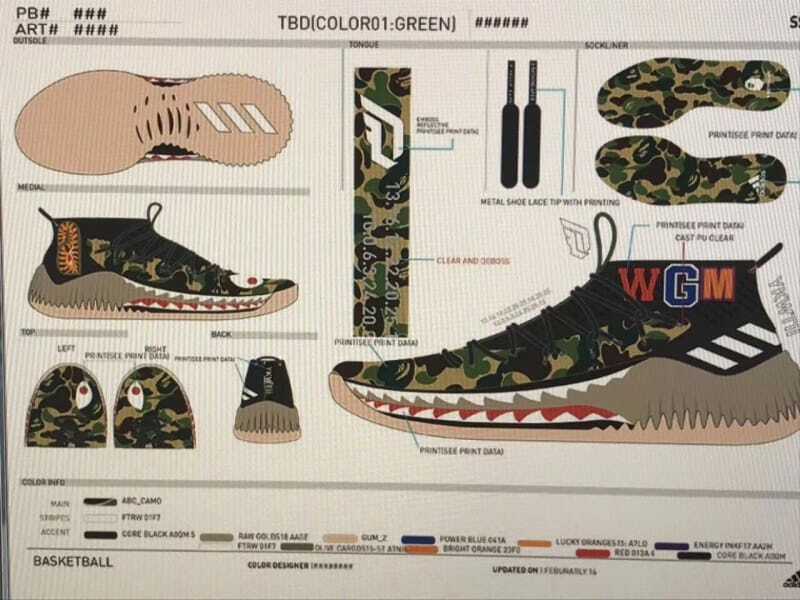 No word with regards tp office release date but since this will be his All-Star shoe, expect this to drop in February for $150.